The beauty of mathematics in art shows in this fractal image which was created using a mathematical formula. This image is suitable for printing on canvas, prints and mouse mats. A bright and cheery painting of a Sunflower. A Snowy Egret (Egretta thula) settling down for the night at Mahoe Bay, Jamaica. Built in 1907, the Sheraton started life as a trawler but was later used as a Radar Ship. Later in her life she was moored on the Lincolnshire side of the Wash to be used as a target ship. In 1947 she broke free from her mooring in a gale and drifted on to the beach at Hunstanton. The ship was sold to scrap dealers and now only a section of the hull remains. A photograph of a Yellow Tulip variety 'yellow purissima' against a pale yellow textured background. Textures used are my own. The village sign at Old Hunstanton, Norfolk. Many villages in England have an ornamental sign announcing the name of the village and depicting a scene from the village’s history. The practice is believed to have started in Norfolk around Sandringham early in the 20th century and later became more widespread. A photograph of a Limonium flower head on a textured background. A digital painting of a Red Fox (Vulpes vulpes). Painted on an iPhone using Procreate Pocket. A digital painting of The Custom House at Purfleet Quay, King’s Lynn. It is one of the town's most iconic landmarks. Designed by architect Henry Bell it was built by Sir John Turner in 1683 and was described by architect Nikolaus Pevsner as one of the most perfect buildings ever built. One of my own photographs was used as the source image for the painting. A digital oil painting effect on a HDR photograph of the quayside at King's Lynn, Norfolk looking downstream towards The Wash.
Old Hunstanton beach and The Wash at low tide taken from Hunstanton Cliffs in North Norfolk. Cockle pickers can be see working the foreshore and in the distance the Lincolnshire coast can be seen on the horizon with the seaside town of Skegness in the centre of the photograph. Also visible on the horizon are Lynn and Inner Dowsing Wind Farms. Three beach huts in a row at Old Hunstanton, Norfolk, England. The beauty of mathematics in art. This beautiful abstract design Is a fusion of two contrasting fractal images that were created from mathematical formulae. Crepuscular rays light up a woodland trail at Sandringham, Norfolk, England. Sandringham House is the private home of Queen Elizabeth II; and her father, George VI, and grandfather, George V, both died there. The house stands in a 20,000-acre (8,100 ha) estate in the Norfolk Coast Area of Outstanding Natural Beauty. The photography has texture overlays (my own textures) and an Orton effect applied to give a painterly feel. A trail through the woodland at Sandringham, Norfolk, England. Sandringham House is the private home of Queen Elizabeth II; and her father, George VI, and grandfather, George V, both died there. The house stands in a 20,000-acre (8,100 ha) estate in the Norfolk Coast Area of Outstanding Natural Beauty. The photography has texture overlays and an Orton effect applied to give a painterly feel. Creeks draining the salt marsh and flowing into the sea at Thornham Staithe in North Norfolk, England. The creeks were used many years ago by smugglers bringing contraband into the country. A digital watercolor of a Pink Cosmos flower (Cosmos bipinnatus) painted using Procreate on an iPad Pro. The watercolour paper texture is my own. The border texture is a modified free to use texture from Shadowhouse Creations. Early morning on a fine and calm day at Brancaster Staithe, Norfolk, UK. A composite image using my own photograph of a small posy of Violets, textures purchased from Design Cuts and a poem by Jane Taylor (23 September 1783 – 13 April 1824). She was an English poet and novelist and also wrote the words to the song Twinkle, Twinkle, Little Star. Due to the age of the poem it is not subject to copyright restrictions. The Whitby Crest at Brancaster Staithe, Norfolk. She is used, by a local fisherman, for fishing for lobsters and crabs. A digital painting of a beautiful sunset seen from the promenade at Hunstanton on the shores of The Wash, Norfolk, England. European marram grass (Ammophila arenaria) growing on the sand dunes at Old Hunstanton in North Norfolk. A close up photograph of a clematis flower zoomed over a black background. A fading Gerbera bloom. The Gerbera, also commonly known as the African Daisy, is a genus of ornamental plants from the sunflower family (Asteraceae). A row of beach huts at Old Hunstanton, Norfolk, England. The photograph has had an Orton effect applied which gives a painterly feel to the image. A photograph of a feeding Giraffe (Giraffa camelopardalis) with fractal post processing. La Savina (La Sabina) Lighthouse, Formentera and the island of Es Vedra, which was featured as the island of Bali Hai in the film South Pacific. A close up of a single Anemone blanda “Blue Shades” flower photographed against a background of an out of focus fence. A beautiful deserted beach at Pigeon Point on the stunning Caribbean island of Tobago. Looking over Marram Grass at Holme Dunes near the site of Seahenge, Holme-next-the-Sea, North Norfolk. A digital oil painting of a sunset at Ironshore, Montego Bay, Jamaica. A composite image comprising a digital watercolour painting of a red Iceland poppy (Papaver nudicaule) flower with texture overlays. The digital watercolour painting is my own work and the texture images used were purchased from Design Cuts. The beauty of mathematics in art. A symmetrical geometric design of shapes created from a mathematical formula. Beautiful Brancaster beach in North Norfolk. Taken from the beach near the Royal West Norfolk Golf Club and looking towards RSPB Titchwell. A composite image comprising a watercolour painting of Dahlia flowers with texture overlays. The watercolour painting is my own work and the texture images used were purchased from Design Cuts. A composite image comprising a photograph of a sprig of Heather (Calluna vulgaris) with texture overlays. Texture files used were purchased from Design Cuts. A composite image comprising a watercolour painting of Dianthus (Garden Pink) flowers with texture overlays. The watercolour painting is my own work and the texture images used were purchased from Design Cuts. Lighthouse Close and the lighthouse at Hunstanton, Norfolk. The present lighthouse was built in 1840 and ceased operations in 1922, since when it has been a private residence and a holiday let. A lighthouse has been on the site since 1665 and the worlds first parabolic reflector was built there in 1776. A photograph of storm clouds over the beach huts at Old Hunstanton, Norfolk, UK. The image has an Orton effect applied which blends two completely different photos of the same scene, resulting in a distinctive mix of high and low detail areas within the same photo. A digital painting of a dolphin and her calf swimming together. An Art Nouveau/Art Deco style digital painting. This was painted as I love the Art Nouveau painting style, particularly the paintings of Alfons Mucha. Art Nouveau was a style of art that was at its height of popularity between 1890 and 1910. After Art Nouveau went out of favour Art Deco replaced it. A silhouette of a boy with his dog. Part of a nostalgic series of illustrations of life in the early part of the twentieth century. A nostalgic silhouette of a young boy fishing. Part of a series of illustrations depicting life in the early part of the twentieth century. A silhouette of a child on a swing. Part of a nostalgic series of illustrations of life in the early part of the twentieth century. A painting of a Flamenco dancer. A painting of a couple dancing the Foxtrot. Suitable for printing on canvas, coasters, mugs and prints. The beauty of mathematics in art. A design consisting of a network of warped and twisted lines created from a mathematical formula. The beauty of mathematics in art. This beautiful folded abstract design that resembles flowing molten metal was created from a mathematical formula. The beauty of mathematics in art. This intricate and colorful abstract design with two abstract fish as the centrepiece was created from a mathematical formula. The beauty of mathematics in art. A beautiful and colourful abstract spiral design. A digital painting of a couple dancing the Tango. The Tango is a dance originating in the 1880s along the River Plate in Argentina. A digital painting of a ballet dancer. Arabesque in ballet is a body position in which a dancer stands on one leg with the other leg turned out and extended behind the body. Both legs are held straight. The beauty of mathematics in art shows in this colourful abstract image created with a mathematical formula. This image is suitable for printing on canvas, mouse mats and prints. The beauty of mathematics in art shows in this colourful abstract image created with a mathematical formula. This image is suitable for printing on canvas, prints, coasters and mugs. The beauty of mathematics in art comes through in this abstract image of honeycomb. It was created using a mathematical formula. This image is suitable for printing on canvas, mouse mats and prints. The beauty of mathematics in art comes through in this abstract image of honeycomb. It was created using a mathematical formula. This image is suitable for printing on canvas, prints, coasters and mugs. The beauty of mathematics in art comes through in this beautiful abstract design that resembles a flock of colourful birds in flight. It was created using a mathematical formula. This image is suitable for printing on canvas, mouse mats and mugs. The beauty of mathematics in art comes through in this abstract image of flowers. It was created using a mathematical formula. This image is suitable for printing on canvas, mouse mats and prints. The beauty of mathematics in art comes through in this abstract image of flowers. It was created using a mathematical formula. This image is suitable for printing on canvas, prints, coasters and mugs. The beauty of mathematics in art shows in this fractal image which was created using a mathematical formula. This square image is suitable for printing on canvas, prints, coasters and mugs. The beauty of mathematics in art shows in this intricate fractal image which was created using a mathematical formula. This image is suitable for printing on canvas, prints and mouse mats. The beauty of mathematics in art shows in this intricate fractal image which was created using a mathematical formula. This image is suitable for printing on canvas, prints, coasters and mugs. The beauty of mathematics in art shows in this abstract image of waves receding from the sand on a beach. It was created using a mathematical formula. This image is suitable for printing on canvas, prints, coasters and mugs. A digital painting of a Border Collie. This square image is suitable for printing on canvas, prints, coasters and mugs. The beauty of mathematics in art shows in this abstract image of waves receding from a beach. It was created using a mathematical formula. Alstroemeria commonly called the Peruvian lily or Inca lily, is a South American genus of about 120 species of flowering plants. The variety shown in this photograph is Alstroemeria Rivale. This square image is suitable for printing on canvas, prints, coasters and mugs. The beauty of mathematics in art. An abstract of spiralling yellow mesh. This square format image is suitable for prints, canvas, coasters and mugs. The beauty of mathematics in art. An abstract of spiralling yellow mesh. This image is suitable for printing on canvas, prints and mouse mats. The beauty of mathematics in art. An abstract of a bird in flight. A mathematical formula was used to create this image. This image is suitable for printing on canvas, prints and mouse mats. The beauty of mathematics in art. An abstract of a bird in flight. A mathematical formula was used to create this image. This square image is suitable for printing on canvas, prints, coasters and mugs.. The beauty of mathematics in art. A beautiful folded abstract image created from a mathematical formula. This image is suitable for printing on canvas, prints and mouse mats. The beauty of mathematics in art. A beautiful folded abstract image created from a mathematical formula. 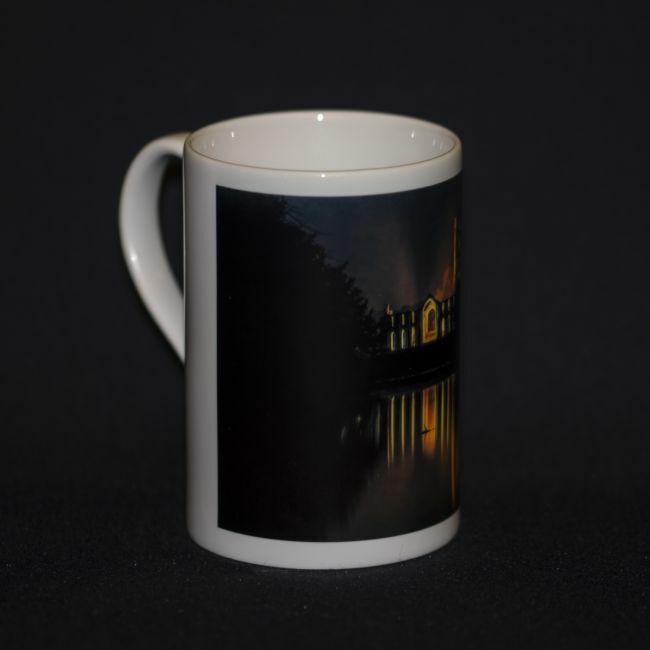 This square format image is suitable for printing on canvas, prints, coasters and mugs. A digital painting of a couple dancing the tango. This square version is suitable for printing on canvas, prints, mugs and coasters. A digital oil painting of a Snowy Egret (Egretta thula) preparing to take flight. Painted from a source photograph I took at Montego Bay in Jamaica. The beauty of mathematics in art. A mathematical formula was used to create this abstract design that looks like the gemstone Tiger's Eye. The beauty of mathematics in art. A mathematical formula was used to create this intricate abstract design in rose gold and black. A nostalgic silhouette of a young girl feeding the birds. Part of a series of illustrations depicting life in the early twentieth century. The Armenian Grape Hyacinth is widespread in the woods and meadows of the Eastern Mediterranean, from Greece and Turkey to the Caucasus. A sketch of a pod of dolphins. An illustration of the Phoenix, a mythical bird that renews itself in fire. Three flower heads of Allium hollandicum 'Purple Sensation' Allium is a genus of flowering plants, informally referred to as the onion genus. The generic name Allium is the Latin word for garlic. A classic dry fly for trout fishing Blue Dun. The pattern for this fly was first created over 300 years ago. A silhouette of a young boy waving at the pilots of three Avro 504K biplanes. Number 7 in a series of nostagic images of childhood in the early 20th Century. A painting of a couple dancing the Tango Suitable for printing on canvas, mouse mats and prints. 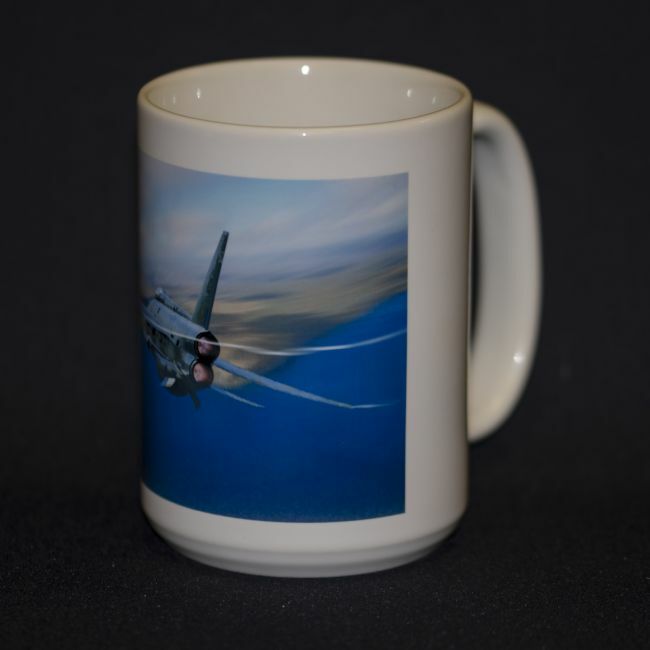 For coasters and mugs there is a square version in my Coasters and Mugs album.